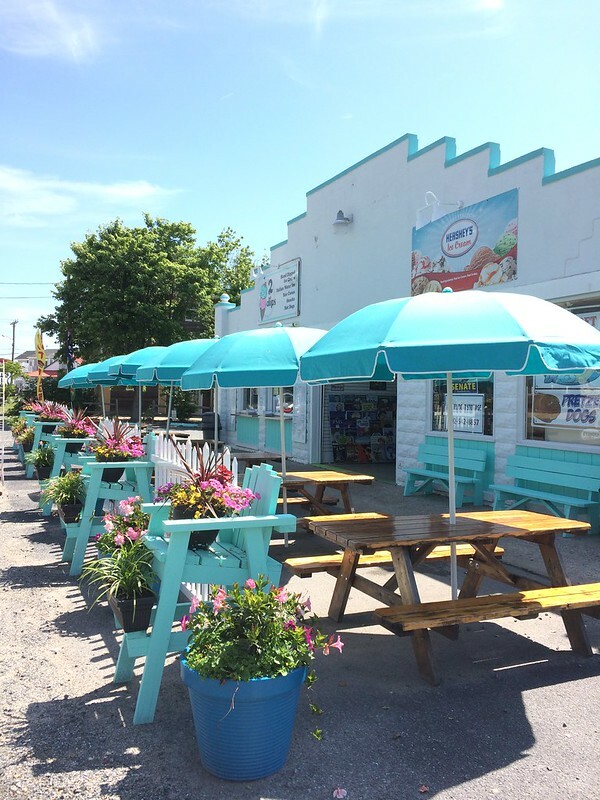 The prettiest (and most delicious) outdoor ice cream shop I've ever seen. I was half joking when I told my sister-in-law that I wanted to steal one of these umbrellas - they're just so darn perfectly 'summer'. 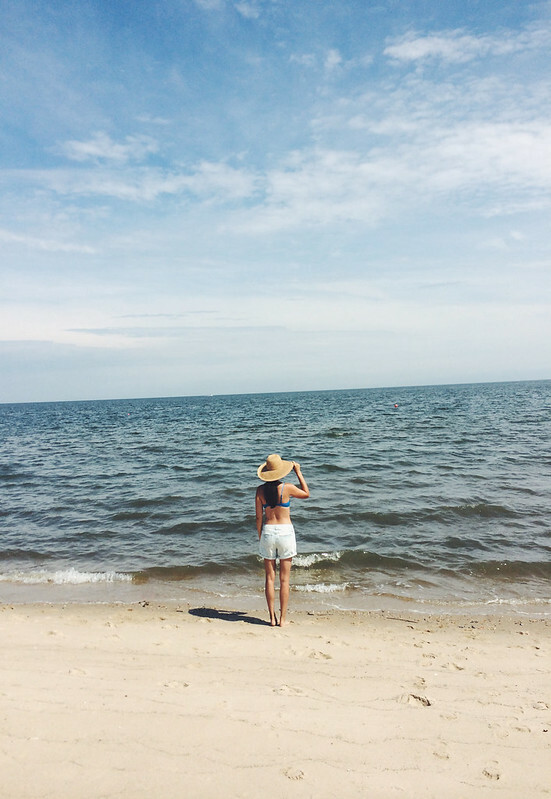 I'm back from our beach trip to Lewes, DE and cannot stop saying what a wonderful place it is for a vacation! I had never been to the Lewes/Rehoboth area so I wasn't really sure what to expect. 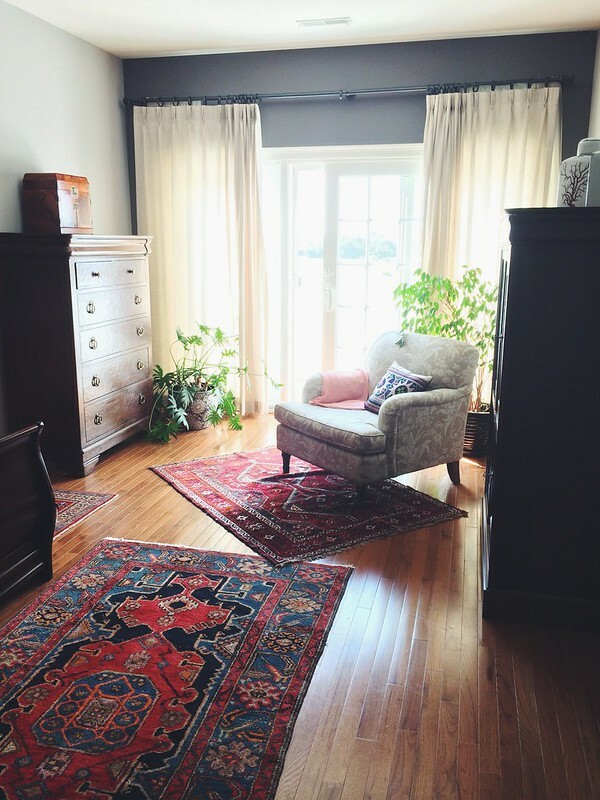 But our stay in Lewes exceeded my expectations and I highly recommend it to any of you who live near the area. 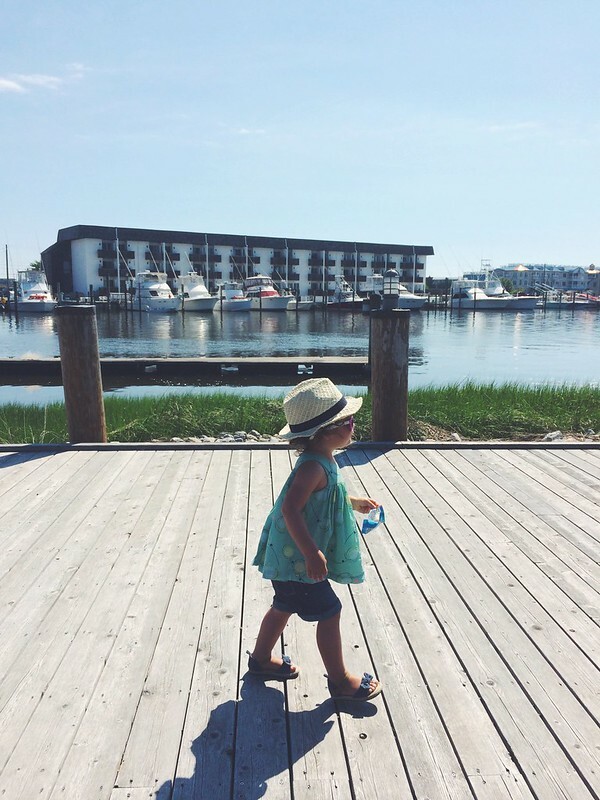 The beaches are family friendly and the downtown of Lewes is exactly the kind of town you want to stay in for a chill, family beach vacation. 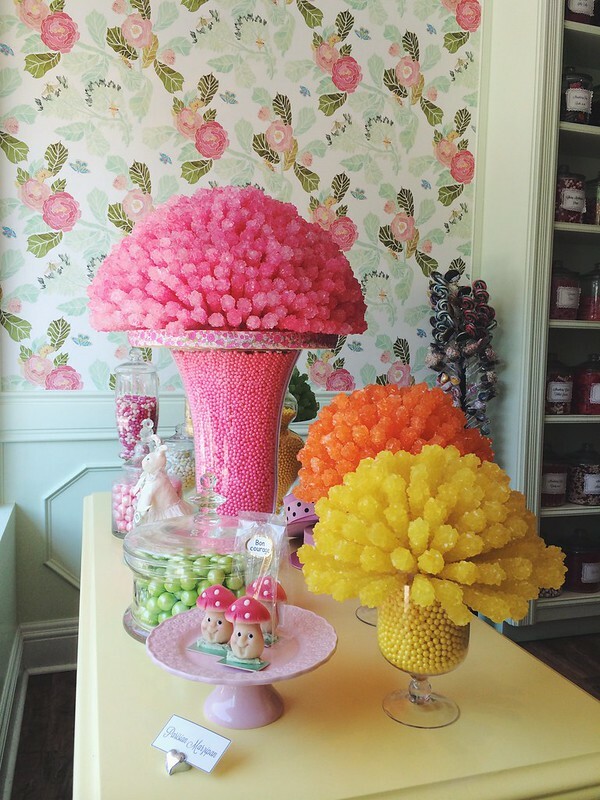 We visited downtown twice and both times we stopped at the Lewes Bake Shoppe (amazing food and the tastiest Lavender lemonade I've ever had) and Edie Bees Confection Shop, which is now my favorite place in the world. And if food isn't enough to entice you to visit, then the charm of the homes and streets will. 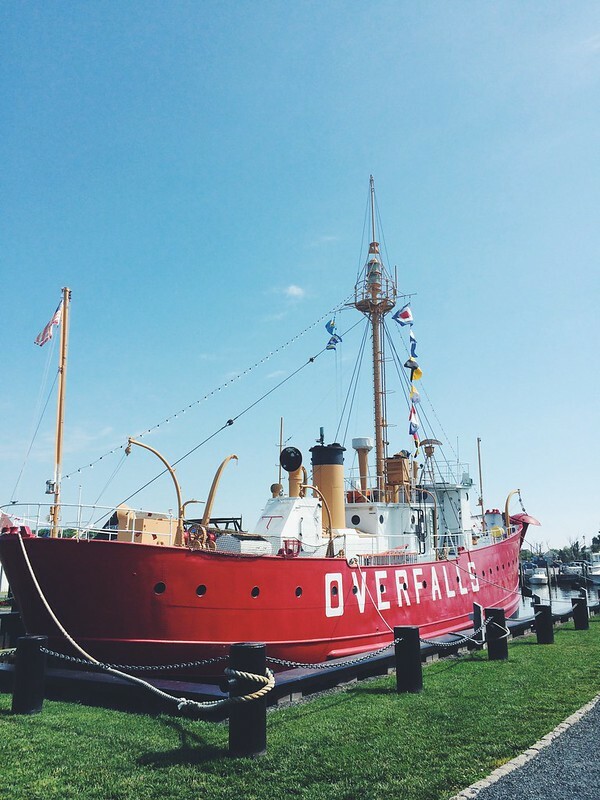 We walked around the nearby neighborhoods and stumbled upon the Lewes Access Area and Boat Yard and were pleasantly surprised because there was an amazing kids playground. Yes, I say amazing because it was toddler friendly (a lot of playgrounds aren't, surprisingly), there was a shaded area with benches for the adults, and the best part was that it was waterfront! Another treat, not of the confection kind, is that I got to paint during Cora's naps. And it was wonderful. I shared a few doodles on Instagram, but I'll share them all in another post real soon. Promise! I'm even thinking of turning a few of them into prints to sell in my Etsy shop. 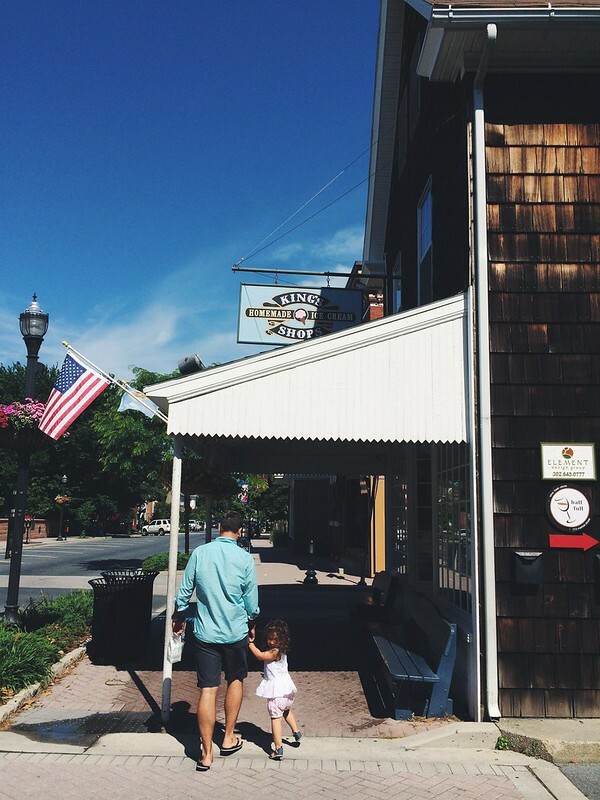 We didn't get a chance to get ice cream at this place, but I just love cedar shake so much that I had to snap a pic. Edie Bees just might be my new favorite place in the entire world right now. The way everything is displayed (and the choices, oh em gee, the choices!) and don't even get me started on the wallpaper…it's all beyond gorgeous. A total feast for the eyes and for the sweet tooth. 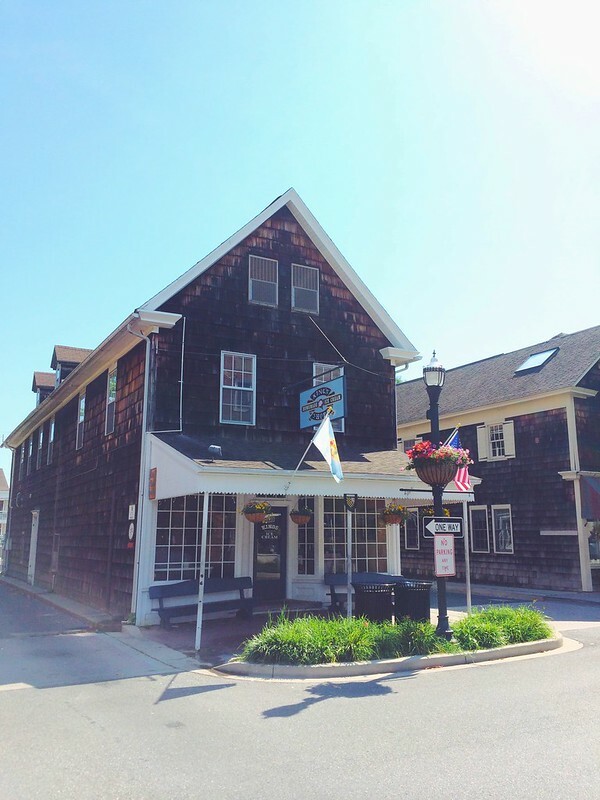 If you're ever in Lewes or Rehoboth, I highly recommend popping in here for a visit. It's a must! I mean, seriously?? How amazing is this display? 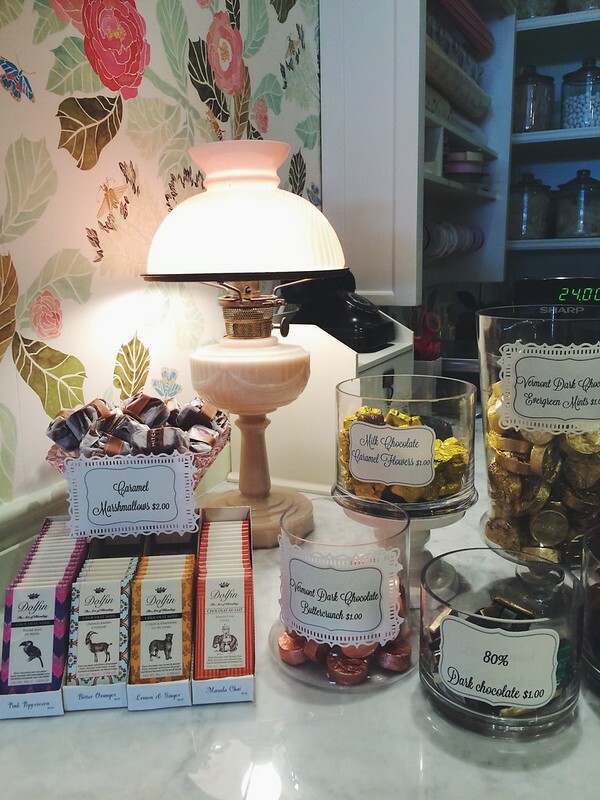 This shop has some old world charm, yet has a modern vibe going on. 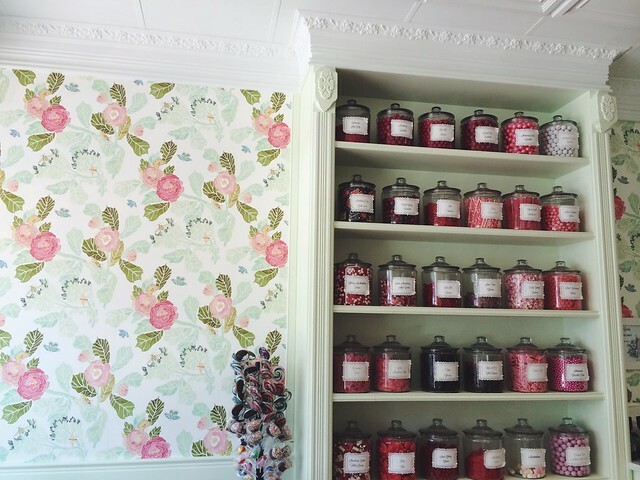 From the wallpaper, to the candy display, to the vintage lamp, Edie Bees strikes the perfect balance between retro and modern. Down by the Lewes Access Area and Boat Yard. Strolling on the docks near the playground. We loved that Lewes had public waterfront access. Something I think that Annapolis needs to create more of. The peaceful sitting area and balcony in our room. 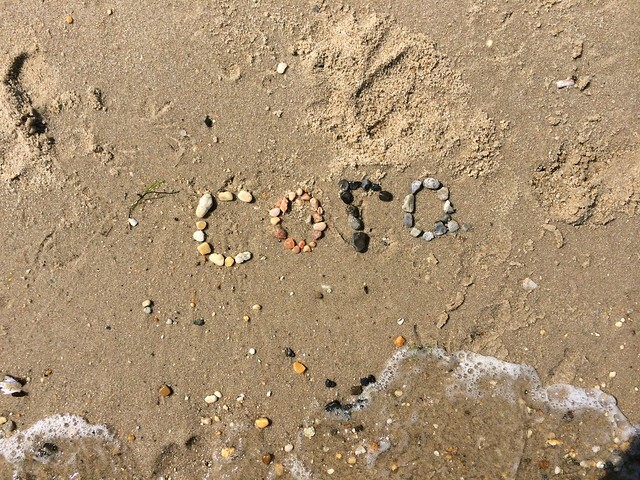 Having some fun on the beach in Lewes. Gotta play with a beach ball at the beach, right? Here she is in her tropical toucan bathing suit, one of my faves. 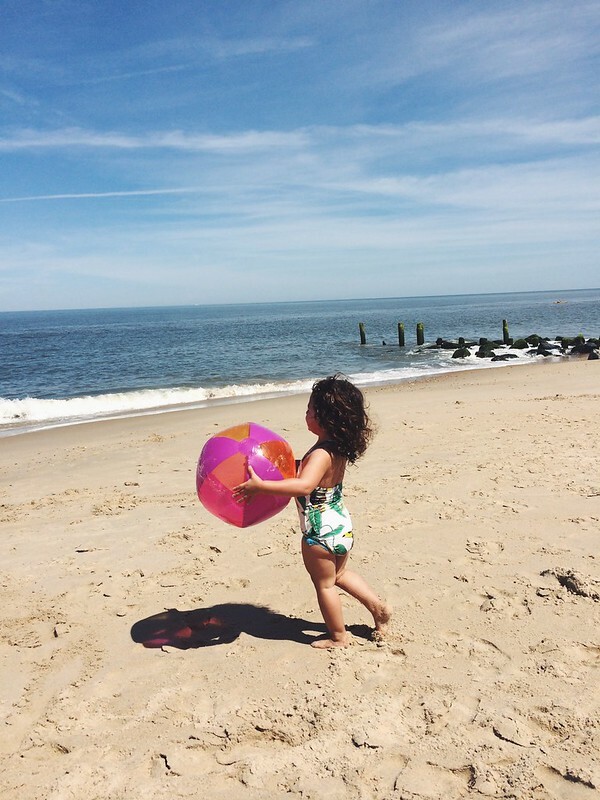 We checked out the boardwalk at Rehoboth Beach and had some fun at Funland. 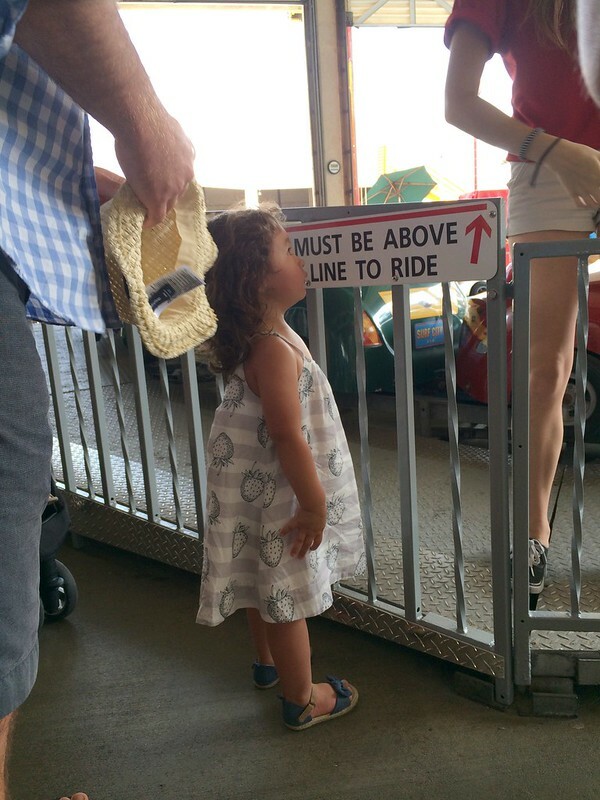 Cora went on her first ride - here she is making sure she's tall enough for it. It was a race car type ride and she seemed to like it at first, but then when it started going backwards, I think that's when it lost its appeal to her. Thank goodness she was riding with Steve! On our last stroll in downtown Lewes. Next time, we're definitely going to try that ice cream place out!